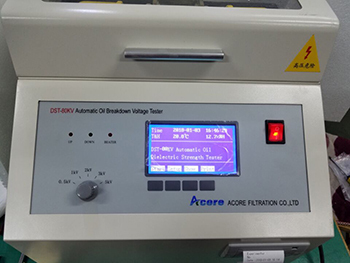 ACORE sales a set of 80KV transformer oil Breakdown Voltage Tester to a Indonesia electric supplier at the beginning of March, 2019. 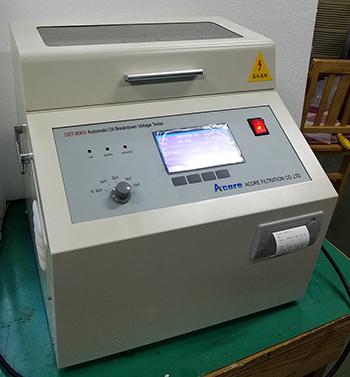 The tester is mainly used for testing of dielectric strength. 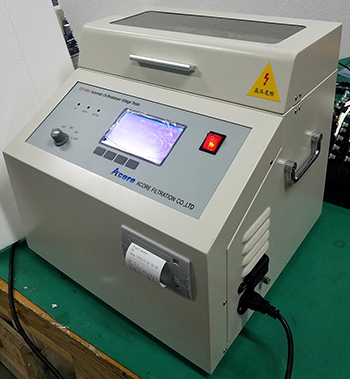 We have 80KV and 100KV breakdown voltage tester in stock and can delivery in one days after delivery. Our Insulating Oil Tester is designed and produced as per international standard IEC156. MTP-30 Mobile Transformer Oil Treatment Machine Sales to Ghana Northern Electricity Co.